This meditation is designed to clear some of the most important nadis in your body - and then fill them with energy. 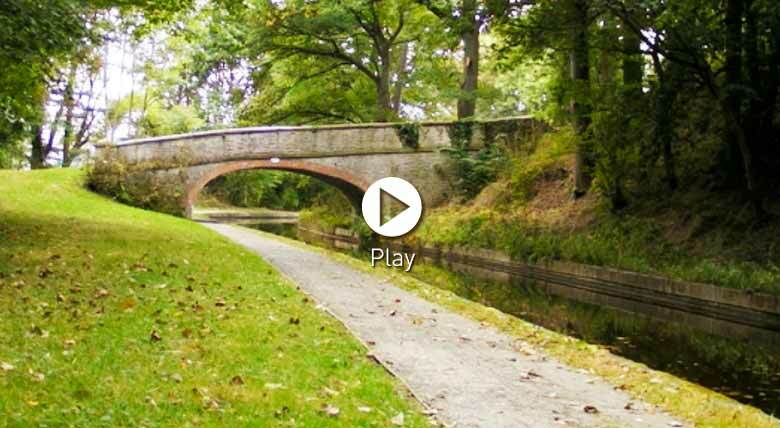 Filmed during a recent holiday on the Llangollen canal in Wales and England, this meditation is designed to help your mind become seriously mellow! Nadis are the yogic term for the channels of consciousness that flow through our body and mind, linking our awareness with the world within and around us. A journey along a canal is a perfect metaphor for clearing and energising them. So, I think you'll enjoy the video more if you don't have it on full screen**, tempting though it might be to see that gorgeous scenary full size. Still, having said that, how come you are doing this meditation with your eyes open?? **PS: If you do want to see it at a size halfway between the video embed on this page and full screen, just click your Ctl key (Cmd on Mac) and the plus key to zoom your browser's page to a larger size. Eventually, your browser will show the video in a larger size. Thank you for a lovely meditation. Gentle and calming as always, Andrew. As I recuperate from a nasty illness I needed some internal cleanliness and a feeling of well being to surround me. Annie recommended this meditation with Andrew and she was right. Thanks you Andrew I will do this over the coming few days to feel better by Christmas Day. Wonderful. Thank you Andrew. I feel my energy refreshed and full of light after a busy few days. Sparkling from inside out again! Thank you Andrew, feel really chilled now, as if all my stress and anxiety as melted away. Thank you Andrew, that was beautiful, very soothing and leaving a sense of deep peace bringing me home. Oh what a beautiful meditation Andrew. Thank you for sharing this visual delight and what a magnificent space and time to have shared with your father!!! I listened first and did the meditation with my eyes closed then I turned the volume down and just watched the glorious countryside drift quietly by. So peaceful. Gratitude and love to you. Wow! I did this while at home sick with a cold. I feel so much less clogged up now! And what a great analogy with the canals. Thanks Andrew. Wonderful meditation Andrew! Thank you! So much stillness and love! lovely and calming thank you just what I needed. I thoroughly enjoyed this meditation and the sound of Andrew's voice.. I felt I had no sooner started the meditation and it was finished.